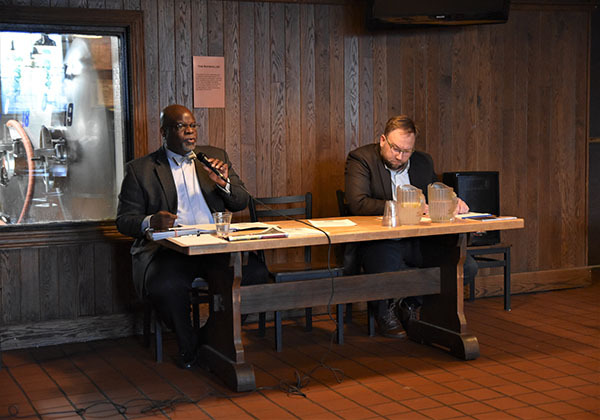 Walk/Ride Northside (WRNS) hosted a District 1 City Council candidate forum on Tuesday, April 2 at Penn Brewery in the Northside to discuss transportation issues. 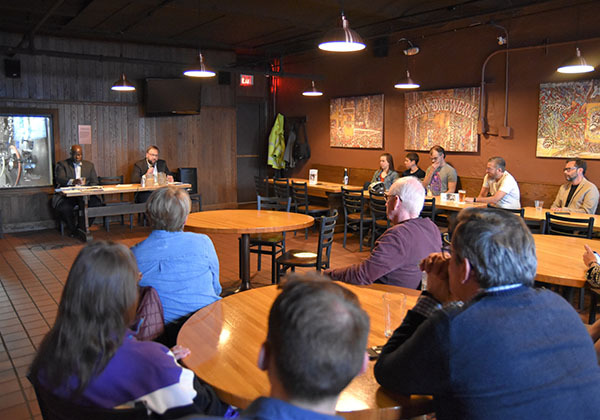 Tuesday evening’s forum at Penn Brewery focused on transportation issues in the Northside. City Council District 1 hopefuls Mark Brentley, Sr., and Bobby Wilson attended the event and Nick Ross, chairperson for Walk/Ride Northside, was the master of ceremonies. 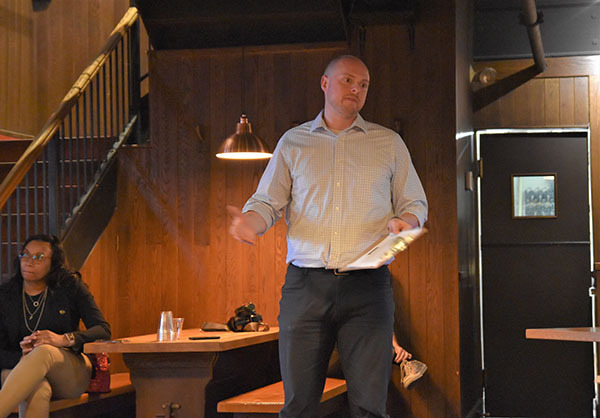 Ross posed a series of questions for the candidates, including ones about trail maintenance and accessibility efforts, obstructions to bike lanes, and increasing bike friendly businesses in the Northside. Jesse Descutner, main street assistant at the Northside Leadership Conference, co-organized the event. He said that despite the admitted lack of cycling experience between both candidates who appeared at the forum, he thought it was a success. WRNS is the all-volunteer bicycle and pedestrian advocacy group of the Northside Leadership Conference. They meet on the first Tuesday of every month at 6 p.m. in the basement of Penn Brewery. To be notified of upcoming meetings or to join the group, email walkride@pittsburghnorthside.com and you will be added to the mailing list. For more information, click here.